Many people out there needs dentures, but refuse to get them. People see them as a nuisance. No one ever sees the benefits of dentures. Dr. Joseph Camuccio would like to point out the benefits of dentures. When your teeth and gums are severely damaged and you are losing teeth, dentures are always the better option. You will feel healthier and more confident. 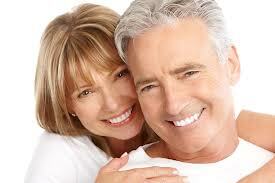 Call Dr. Camuccio’s office for more information on dentures at 954-781-6170. Visit his website at www.creativesmiles.us. Accepting patients from Pompano Beach, Lighthouse Point, Deerfield Beach, Boca Raton, Fort Lauderdale, Coral Springs and all surrounding areas. This entry was posted in Cosmetic Dentistry, Restorative Dentistry and tagged Cosmetic Dentist Pompano Beach, dentures, Pompano Beach Dentist on December 18, 2013 by admin.